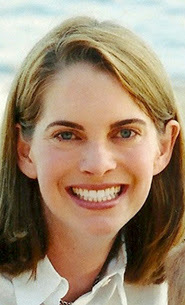 When worried investors enlist the talents of a tech-savvyc elebrity chef to salvage the restaurant, Elizabeth feels the ground shift beneath her feet. Not only has she lost her touch; she's losing her dream. Ok. First off, this book made me hungry--and in a good way! I'd love to actually meet Lizzy and let her cook for me, because the woman has skills. Setting all that aside though, let's talk about the rest of this book; Lizzy's slow evolution in releasing her past, reestablishing her future, and reclaiming a relationship with her sister...along with finding a handsome man along the way. One of the things I really enjoy about Katherine's books is how the romance she adds to her stories is always at a slow burn. It's not the central theme, yet it is still 100% there. I so enjoy watching her characters' lives progress as they work through change and sometimes pain, yet still find happiness--and not simply by falling in love. Lizzy & Jane was no different. Of course with Jane having cancer, this was a hard read, but Katherine handled the situation beautifully. I loved how these two sisters find healing in their relationship after years. 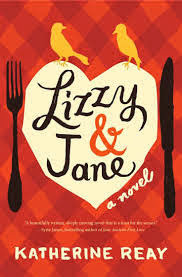 I also really, really loved how caring for Jane helped Lizzy rediscover why she's a chef and how she can use that talent. I happily give Lizzy & Jane 5 out of 5 stars and you can purchase Lizzy & Jane here. It’s hard to introduce myself in a few adjectives. We are all such a complex and unique jumble of attributes — God made us that way and he isn’t done yet. So I may have some new adds tomorrow. I started my professional career in marketing and I’ve morphed into a novelist. I like this much better. Fiction is powerful stuff, I think. It allows us to convey truth in meaningful and palatable ways — one reading of The Lion, The Witch and the Wardrobe and you’ve got the whole gospel Narnia-style without ever leaving an amazing adventure. Katherine, congratulations on all of your awards. This sounds like another great story! I can't wait to read this one. Ahhhhh!!! Dear Mr. Knightley is one of my absolute favorite recent reads. LOVE! I KNOW! That will always stay on my bookshelf:) And now this one too! Have a great weekend, Melissa!